Welcome to the first installment of “A Tale of Two Prospects” where OL specialist Duke Manyweather and myself select two offensive lineman to simultaneously breakdown side-by-side. Each pairing of prospects will be split among each of us. I was tasked with Jack Conklin, and Duke was charged with Ronnie Stanley. The manner in which we chose this pairing of prospects (and will continue to all the way to the draft) was a result of a Twitter poll question asking what the people most would want to see. @BigDuke50 & myself are collaborating on a series of articles evaluating ’16 OL prospects. Who do you want first? Duke and I have purposely been close-mouthed about our OL evaluations this draft season in order to unveil them in a comprehensive manner here, as opposed to the 140 character version. Determining our conclusions on each prospect involves extensive film study (minimum of 4 games) on each prospect, cross-checking each other’s work for typos, and access to all-22 film. *The grading scale I use is based on a 1-7 scale. 7 being an all-pro level, 1 being poor, 4 being average/solid. I grade a total of 10 traits per position, assign a number grade to each trait, and average it out for the accumulative score that you see in the “Grade” box. Context: 2nd and 1 in the 2nd quarter 3:31 left MSU is up 14-7 vs Oregon. The Spartans are in 22 personnel vs the Duck’s 3-4 defense with the safety walked up, showing 8 in the box. The Spartans run a power variation with the LT/LG/C blocking down, and the RG coming around through the C gap to seal the backside. Upon the snap Conklin comes out of his stance with good pad level leverage, good hand placement, and a strong base at the point of attack (POA). Due to his strong base, he is able to generate very good power from the ground, and through his hips. You can see his rotational power from his core as he rotates, lifts, and turns the defender out of the B gap. This play shows off Conklin’s ability to hit, lift, and drive an elite level defensive lineman (DeForest Buckner) who is lined up in a 4i technique. An area Conklin saw some success in during his college career was on angled-drive blocks using his good play strength to move defenders off of their spot. The problem with Conklin is his base tends to narrow vs very good competition, but this play shows that when his base of support is strong, he is able to generate good power to move high level defenders off of their spot. Context: 2nd and 6 in the 3rd quarter, 10:57 on the clock with the game tied at 14. The Spartans are in 21 personnel vs the Duck’s 3-4 defense with the safety walked up, showing 8 in the box. Buckner is lined up in a 4/4i technique. Upon the snap Conklin is slow out of his stance and passive at the POA. He power steps inside, attempts to latch onto the defender rather than strike, and in doing so leans forward, compromising his balance. Buckner reacts perfectly, uses a basic slap/swim move, and works back outside with ease. Conklin winds up in a place he finds himself in often, on the ground. Throughout Conklin’s college tape you see a lack of explosion in his pass sets from a 3pt stance, and then over aggressiveness at the POA in an attempt to compensate from his poor start. Elusive and talented pass rushers who can work both outside and inside give him fits. Conklin’s pass pro technique from a 3pt stance needs to be reworked. He is able to circumvent his issues vs solid college players, but when faced off against an elite player such as Buckner, flaws get exposed quickly. Context: 3rd and 13 in the 2nd quarter, 3:40 left on the clock, and the Spartans up 21-14 vs the Buckeyes. The Spartans come out in 21 personnel and run a PA pass vs the Buckeyes 3-3 defensive front. Conklin has Joey Bosa aligned in an outside shade. Conklin begins his kick slide in typical fashion, with a short forward step, followed by his post foot having to crossover behind his body, resulting in a narrow base. Due to his first step and the ensuing recovery, his hips are now facing the rusher, giving Bosa a soft inside hip/shoulder to go to. Bosa uses his lateral quickness to fake outside/in with a hard plant prior to exploding inside. Conklin’s base widens, his feet become “stuck in mud,” and he is unable to power step inside and wash the rusher down. Bosa doesn’t fully clear Conklin’s inside leg, and the LG’s positioning aids in stopping the rusher from a free release to the QB. The result of the play isn’t what to focus on here, it is Conklin’s technique. If the LG was blocking down on a 2i or 1 technique, Bosa would have likely been able to expose Conklin even more, and get a shot at the QB. This technique leaves Conklin vulnerable from the moment he takes his first step until contact is made with the rusher. The narrow base and square hips to the rusher leave him vulnerable to elite speed to power rushers, as well as refined speed rushers who can stress his set to the outside and possess a dynamic inside counter move. The likes of Watt, Miller, Houston, etc. on the NFL level will easily monopolize their way to the QB if Conklin doesn’t shore up his pass sets vs outside shades. Context: 2nd and 4 in the 1st quarter, 10:07 on the clock, with the game tied at 0. 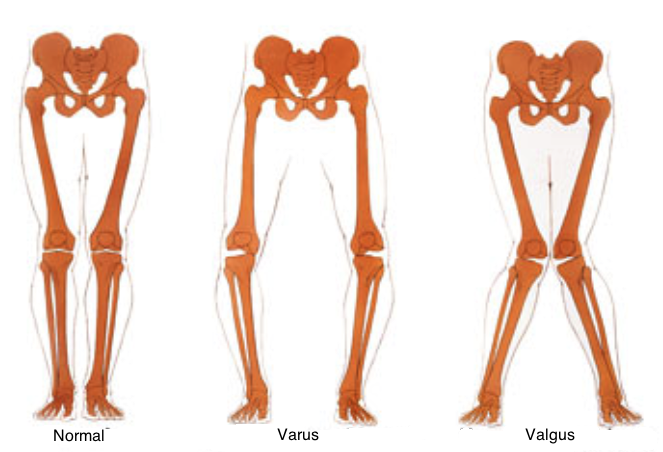 On his toes, narrow base, hips/knee/shin/ankle aren’t aligned, knee caves in (goes valgus). The Spartans are in 11 personnel vs the Buckeyes nickel defense. The offense runs a RB screen to the left, and Conklin is looking to cut the edge rusher. He flat sets in an attempt to put himself in position for the cut. The rusher stunts inside which surprises Conklin, and he is in no position to react. @VeteranScout To be fair it looks like his job on this play was overset and cut. The guy just reacted inside to the flat set before he cut. While context is extremely important in every single play we break down as evaluators, the technique is the area I want to primarily focus on here. From a biomechanics standpoint OL play begins with the base of the player. Foot positioning in relation to the shin/knee/hip (up the kinetic chain) determines success or failure on nearly every play. Furthermore, foot positioning/placement in relation to the ground (on toes/center/heel of foot) plays a large role in a player’s base, balance, and ability to redirect. Watching Conklin’s kick foot come out of his stance shows that his hip/knee/shin/foot are not aligned to form the “cylinder” that is so critical to OL play. As you watch his outside knee, it collapses inside when he realizes the rusher is stunting inside. His knee is valgus at this point, virtually eliminating the possibility of being able to redirect inside. His inability to keep his knee aligned could also be a result of a weak vastus medialis oblique (VMO). LeCharles Bentley explains why this muscle is crucial for OL play in particular. Lastly, let’s take a look at one of the most endearing traits that Conklin possesses. Competitive toughness. Context: 1st and 10 in the 3rd quarter, with 1:53 on the clock, and the Spartans up 24-7 vs Maryland. The offense comes out in 21 personnel and runs a power variation with the LG/C blocking down, and the RG pulling to kick out the end man on the line of scrimmage (EMLOS). Conklin has a tight outside shade (5 tech) lined up across from him, who is the EMLOS on this play, and therefore the pulling guard’s responsibility. Conklin comes out of his stance showing pass, and gets the end to hesitate for a split second. From there Conklin’s responsibility is to work inside and seal any leakage. The poor soul on this play winds up being 5-10/220 pound true freshman LB Brett Zanotto. Zanotto winds up abandoning his (B) gap, and Conklin is there to make him pay. At the point of attack (POA) Conklin simply shoves him, and in his typical angry demeanor proceeds to chase his guy down until he’s finished. This raw instinct from Conklin to pursue the defender downfield and bully him around is a favorable trait to observe when scouting the OL. With Conklin, you consistently see this on tape, not only vs smaller/weaker players, but players of all shapes and sizes. Next, you will see more of Conklin’s physical prowess at the POA in the run game, the ability to hit/lift/drive a variety of defenders, and the rotational power in the transverse plane that I referred to in my scouting report. From a traits perspective, the most apt pro comparison for Jack Conklin that I could come up with it Carolina Panthers RT Mike Remmers. Remmers is a player who has had a much different path than Conklin will most likely have to the NFL, but their skill-sets are similar in terms of how they win on the field. Remmers and Conklin both excel in the run game with their play strength, ability to hit, lift, and drive on Deuce/Angle blocks, and ability to finish defenders with their nasty demeanor. In regards to pass pro they both excel when they’re able to end things quickly near the LOS vs tight edge-rushers. Both of them play with solid anchor ability vs power rushers, showing the ability to sink their hips, and generate force with their in-steps. Remmers is a little more polished in terms of footwork in all areas, but with some technique corrections Conklin could win in comparable ways as a pro. Duke’s scale will remain confidential. Context: All 3-plays in the 1st cut-up are 3rd and medium, the Boston College defense is utilizing movement at the snap of the ball, there are a few key traits that absolutely stick out to me about Stanley versus these looks. The 1st trait Stanley displays is the ability to use quick mental processing, and awareness to quickly decipher through the defensive movement, and still work through to sort and complete his assignment, whether it be taking a defenders showing on the EDGE, or smoothly passing off a line game. The 3rd trait displayed by Stanley is his ability to maintain patience while the defensive scheme is developing, you will see this is a common theme as you get deeper into the report. Speaking of awareness, here is a bonus cut-up, that displays Stanley’s awareness and craftiness, mid-play. Context: Both plays in the cut-up are run’s opposite of Stanley, the 1st play is OSZ footwork, and Stanley is asked to cut-off any ‘B-gap” presences, notice the crafty arm-bar to seal the defender backside, and notice when his head gets across, his eyes look upfield and he has vision of the linebacker scrapping and looking to ‘run-through.” Stanley quickly grabs the back of his left guard’s jersey who was climbing to nothing, which created enough of an obstacle for the linebacker, and forced him to play over the top, allowing the guard to fit up on him. The 2nd clip is ISZ opposite of Stanley, and he and the left guard are running a combo from the 3-technique to the stacked linebacker, in “B-gap.” Stanley steps to overtake, the left guard sees the MLB play backdoor on the center/right guard combo, so he comes off and leaves Stanley hanging. Stanley is aware who he is suppose to work to, and instead of getting his head completely across and allowing the linebacker to “run-through,” Stanley initially cuts-off the 3-technique and just grabs, while giving the linebacker just enough of a shot to keep him at bay. Holding or not, which it was not called, it was a very heads-up and savvy play. Context: The following clips are all obvious pass situations, so Stanley is seeing the best of the best in terms of defenders pinning their ears back and getting up field. As mentioned earlier, Stanley explodes into his pass set, and does a good job of working to his landmark. Notice how Stanley’s shoulders/hips stay square until the last possible second. Stanley struggles to transition from his kick to settle, make a stand, and anchor versus speed to power players. Context: Stanley is not going to consistently over-power and physically dominate players, but he engages quickly and does a nice job of winning the hand placement battle and maintains a functional base. Stanley displayed good rotational power output in the transverse-plane, using “high-hand” technique, turning defender’s out of the hole and adding them to the wall. Stanley showed good short area quickness and good overall athleticism tracking to the 2nd level. I’m not one to compare players, but from a traits and skill-set perspective, I see Ronnie Stanley having a lot of Ryan Clady to him. Both players are about 6’6’, 315 lbs, the movements skills are very similar. I do think Clady played with more functional strength coming out of Boise State, but I see the similarities in that both are very technically sound pass protectors, and won’t dominate in the run-game, but understand what they are good at, which provides them enough to be very steady.